In the course of the training series “WASH in Emergencies” (WiE), participants learned a lot about sanitation, wastewater management and hygiene promotion in emergencies. The basic WiE course included topics like the WASH basics in humanitarian aid, the WASH cluster, Sphere and WASH minimum standards in humanitarian aid and various project examples and hands-on exercises. Thanks to all involved for the successful course. 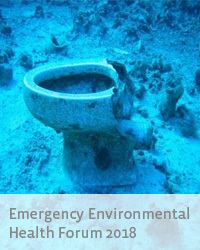 The “WASH in Emergencies” courses are an initiative of the WASH network, which is funded by the German Federal Foreign Office and developed and implemented by the German Toilet Organization, arche noVa, Malteser International, Die Johanniter and BORDA. 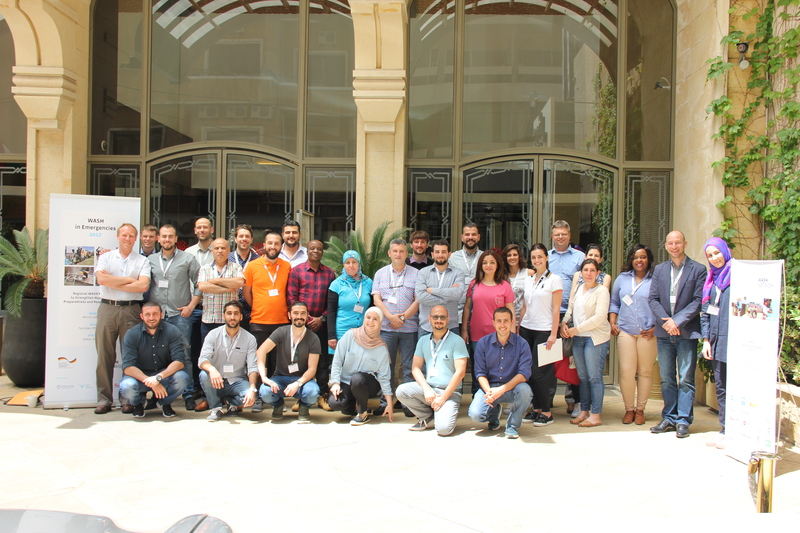 In April 2018 the first WASH in Emergencies Training of Trainers (WASH ToT) took place in Beirut, Lebanon. The aim of the training was to strengthen local capacity to develop, implement and support national or regional WASH trainings through a transformative learning experience, where participants develop new knowledge, skills and attitude on how to promote learning of adult people. 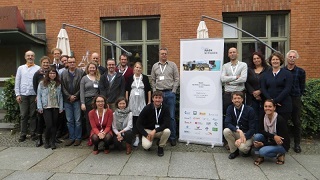 The participants were WASH experts from all over the world who had already participated in previous Regional WASH Workshops conducted by the German WASH Network. 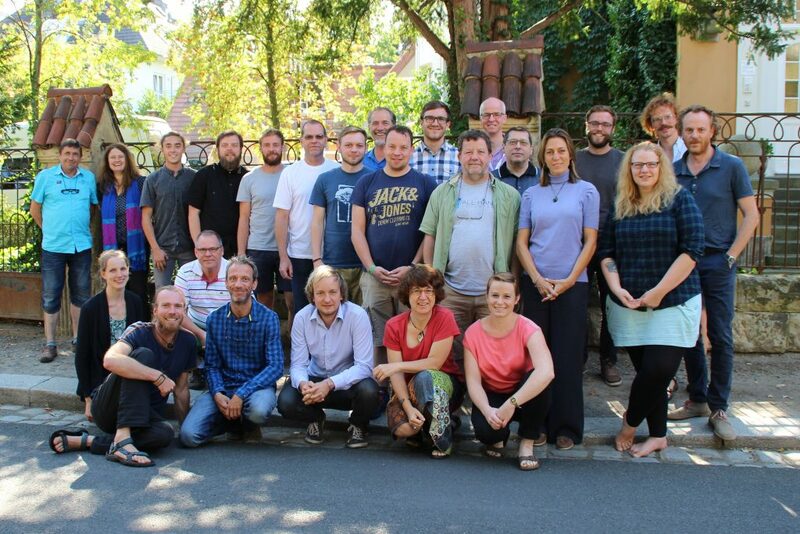 The WASH ToT has been developed by the German WASH Network in cooperation with the Federal Foreign Office and with the support of an experienced Sphere ToT Trainer. Some impressions from the workshop can be found here. 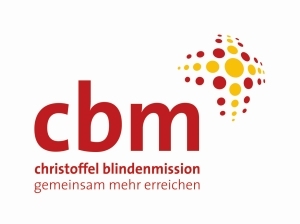 CBM and Handicap International will host the two-day seminar “Disability-inclusive Design in Humanitarian Action at WASH, Shelter and Camp Facility Design” on April 23 and 24, 2018 in Berlin. The training will address issues such as how people with disabilities can be actively involved in infrastructure-related humanitarian programs and how humanitarian infrastructure designs can be planned, prepared, implemented and assessed in a disability-inclusive manner. The seminar will be held in English. Detailed information and an email address for registration can be found here. 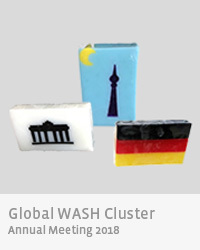 The Global WASH Cluster (GWC) will be holding its annual WASH Cluster meeting from 10th to 11th of April in Berlin, Germany. The meeting will be hosted by the German WASH Network with the support of the German Federal Foreign Office. For further information click on the picture on the right hand-side. Following the GWC Meeting, the informal Emergency Interagency WASH Group (ACF, Care, ICRC, IFRC, IRC, Oxfam, MSF, UNHCR, and UNICEF) presents the 8th Emergency Environmental Health Forum (EEHF) from 12th to 13th of April. The event will be hosted by the German WASH Network in close collaboration with the Secretariat of the Sustainable Sanitation Alliance (SuSanA) at GIZ. For further information click on the picture on the right hand-side. 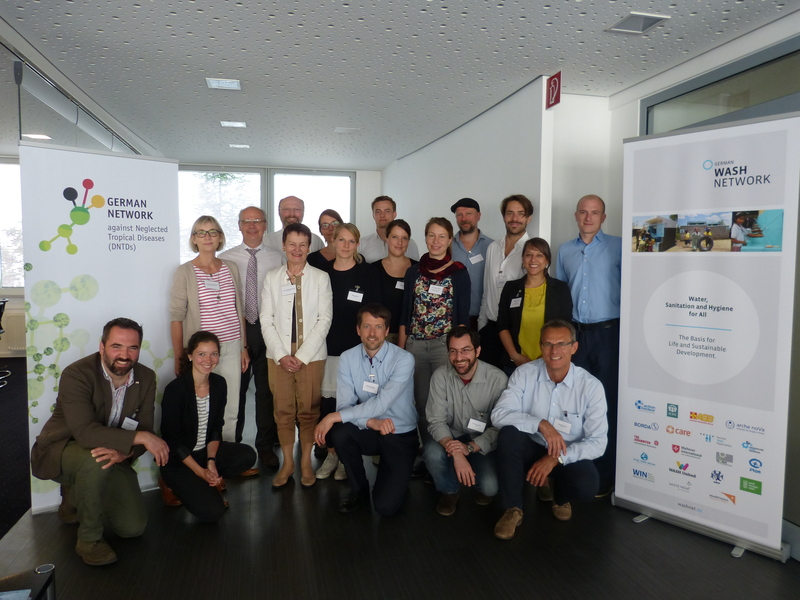 Last week, the 20th meeting of the German WASH network took place in Bonn. There it was decided that both the Christoffel-Blindenmission and Terra Tech will be included in the WASH network. After the members had informed about their current projects and events, the participants discussed the upcoming Annual WASH Cluster Meeting as well as the Emergency Environmental Health Forum, which will be hosted by the WASH network in Berlin in April. Other topics included the BMZ’s water strategy and the position paper of the WASH network. To discuss the current situation and the challenges of the integration of cash transfer and market based programming within the humanitarian WASH sector, the German WASH Network conducted a learning event from January, 24th to 25th, in Berlin. 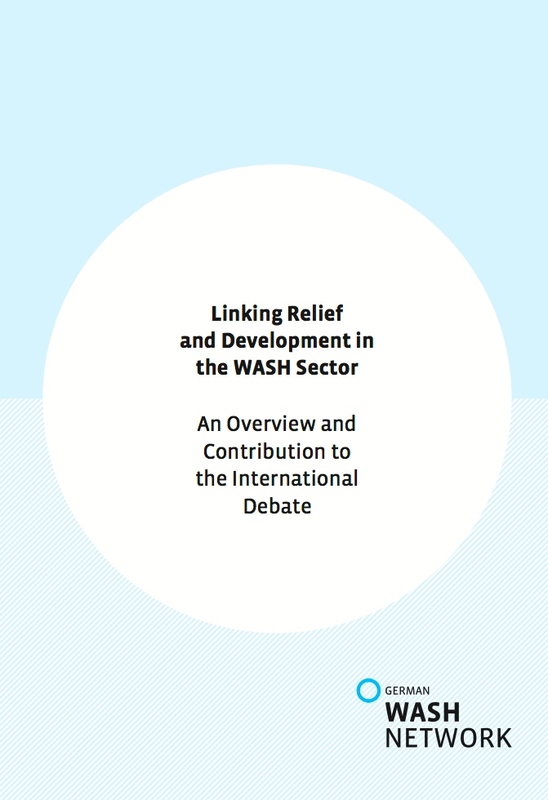 The event acted as a platform for the Technical Working Group (TwiG) “Cash and Markets” of the Global WASH Cluster, on the one hand to report on progress and share new evidence and on the other hand to learn from the audience experiences – not only within the WASH sector but also from other sectors or thematic areas. Key partners such as Oxfam, Save the Children and UNHCR presented results from ongoing studies and projects aimed at improving the evidence base and the effectiveness of working with Cash & Markets in WASH. With other sectors like shelter common issues, demands and potential synergies were discussed. Case studies from Yemen and Nigeria fueled group discussion on four identified main challenges: 1) Institutionalisation of Cash, 2) Cash & Inter-Cluster Coordination, 3) Programme Quality and 4) Measurements of Outcomes. Finally, priority activities and opportunities for collaboration with others were identified and used to refine the future TWiG Action Plan. We like to thank all TWiG members for the close collaboration and support, the audience for coming and sharing their experiences and the German Federal Foreign Office for the financing of the event. 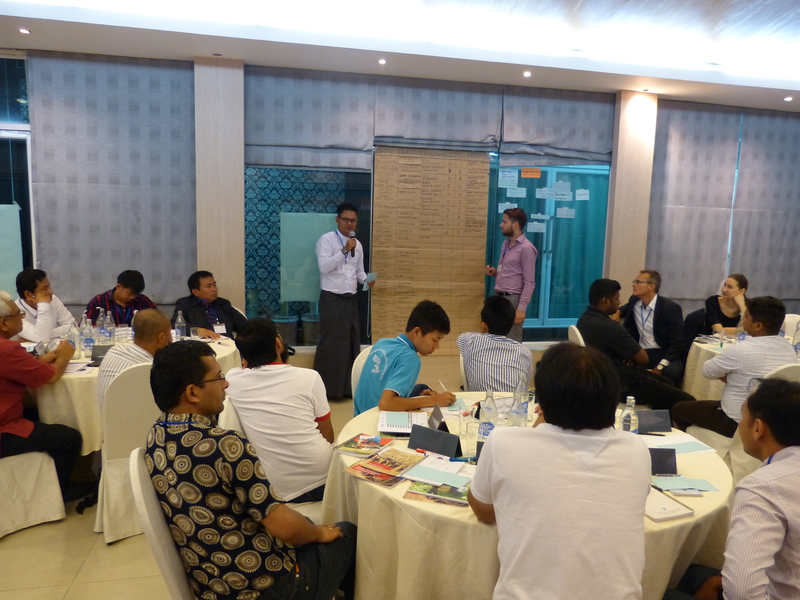 Participants learned a lot about sanitation, wastewater management and hygiene promotion in emergencies in five days. 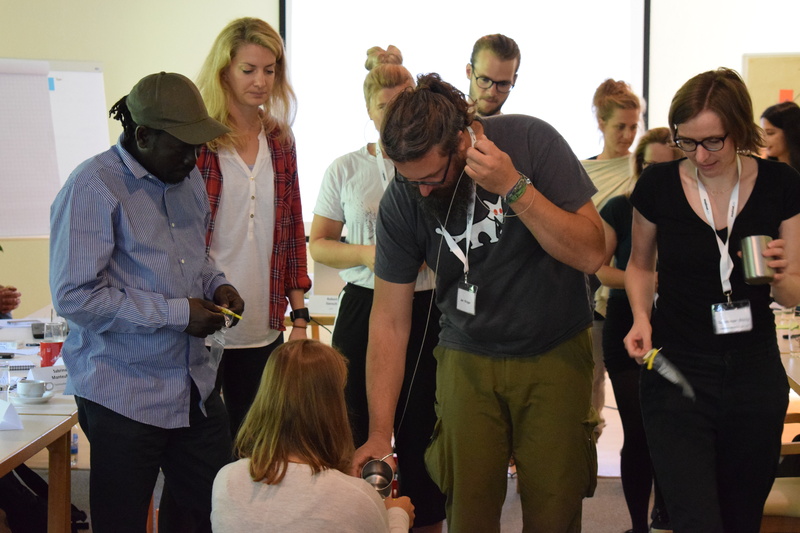 The second module of the WiE Crash Course included hardware (technical solutions, toilet models), software (including local people participation, hygiene promotion methods, inclusion of vulnerable groups) as well as self-tests in role-playing games and simulations. Also next year there will be another WiE course series in Germany, more information is available on Facebook or on www.washnet.de/en/. 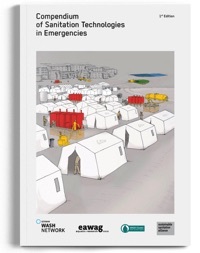 The “WASH in Emergencies” course series is an initiative of the WASH network, which is funded by the German Federal Foreign Office, developed and implemented by the German Toilet Organization, arche noVa, Malteser International, Die Johanniter and BORDA. This consists of a WiE basic course and two WiE intensive crash courses. At the Regional WASH Workshop in Dakar concerning “Strengthen Humanitarian Preparedness and Response Capacity” participants came from DRC, Mali, Cote d’Ivoire, Mauritania and from another 10 african states. Thematically it was about Emergency WASH Assessment, Humanitarian Standards (SPHERE) and Menstrual Hygiene Management; the participants exchanged experience and learned from one another. 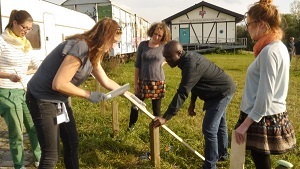 The WASH Workshop was carried out by a consortium consisting of arche noVa e.V., Malteser International, Johanniter-Unfall-Hilfe e.V., German Toilet Organization and its local partners. At the WASH Network meeting on September 27, 15 organizations came together. A lively discussion raised as it was about the potential postulations to the new Federal Government, the content of the WASH Network position paper as well as the issue of WASH in humanitarian aid. Two representatives of the Department of Multilateral Humanitarian Aid at the German Foreign Office presented the new WASH sector strategy. It deals with the need for better interlinking of measures in humanitarian aid and development cooperation. 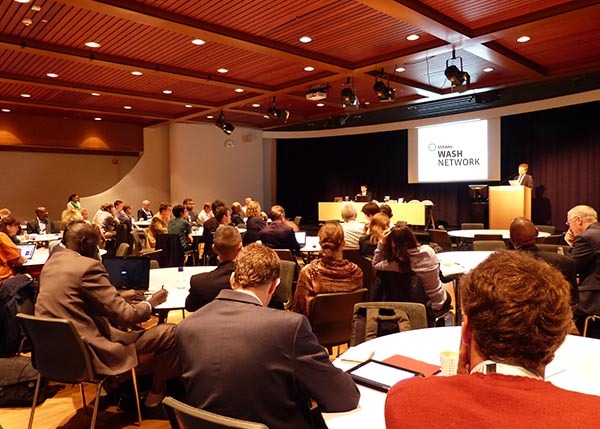 Additionally, the network was looking backward to the diverse work in the subject area of WASH nutrition as soon as various sessions within the frame of the Stockholm World Water Week. 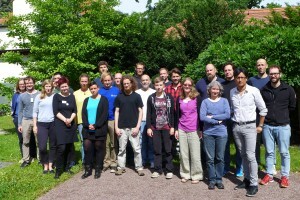 We welcomed two new members “Help – Hilfe zur Selbsthilfe“ and “Tierärzte ohne Grenzen“. The next meeting of the WASH Network will take place in January 2018. We would like to thank all involved parties, especially the host for a great meeting, the Water Integrity Network. 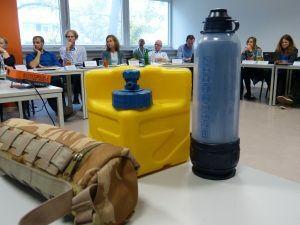 Start of the WASH in Emergencies Crash Courses was the unit “water supply in emergencies” in Dresden. 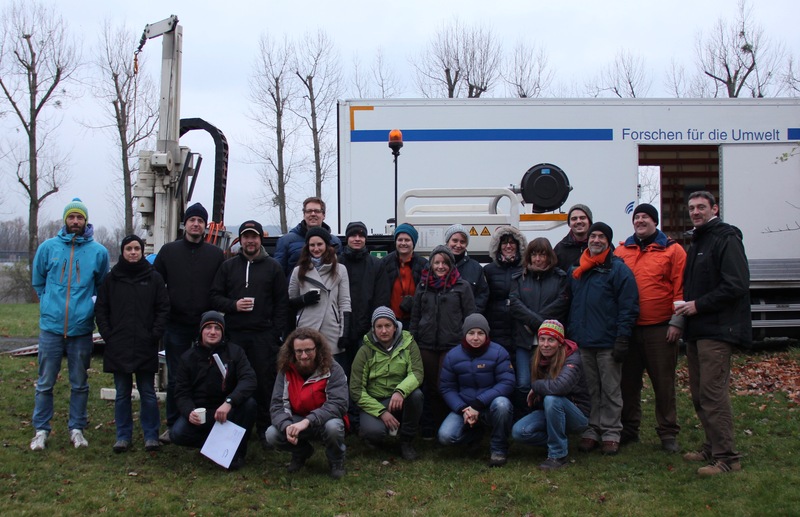 Thanks to the arche noVa e. V. for a great cooperation to discuss issues of hydrogeology, water quality, installation of water wells and cross-cutting issues such as gender and inclusion. 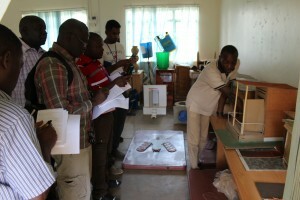 Participants also tested their new knowledge about water tests and material directly in practice. The German WASH Network successfully conducted its second Regional WASH Workshop in Tacloban, Philippines. 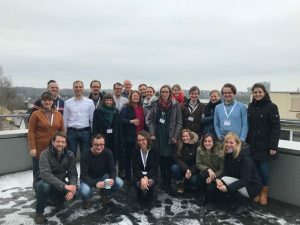 Local staff from German WASH Network member organisations and its local partners have been invited to exchange their experience and knowledge in humanitarian WASH. The facilitators from the German Toilet Organization and arche noVa as well as resource persons from UNICEF, Oxfam and BORDA shared their expertise particularly to strengthening actors in the fields of emergency preparedness and response. As part of the workshop the participants had the chance to visit several WASH in Schools projects, a sludge treatment facility and a sanitation marketing project in Tacloban – the city that has been hit hard by typhoon Yolanda in 2013. Thanks to all resource persons and participants from the various countries and organisations involved. It was a perfect mix of intense networking, knowledge sharing and – not to forget – a lot of fun. We are looking forward to the upcoming Workshop for the Western-Africa Region in Dakar, Senegal (Oct 30 to Nov 3). The Regional Workshops are part of a strategic portfolio developed in close cooperation with Auswärtiges Amt and which are carried out by a consortium consisting of arche noVa e.V., Malteser International, Johanniter-Unfall-Hilfe e.V. and German Toilet Organization. On June 24, 2017, the 2. Humanitarian WASH Tech Day took place at the premises of the training institute of the Federal Agency for Technical Relief (THW) in Neuhausen, Germany. The event was conducted in close collaboration with the Department for Humanitarian Assistance of the German Federal Foreign Office and THW. This time there was a special focus on “Sanitation and Faecal Sludge Management in Emergencies”. 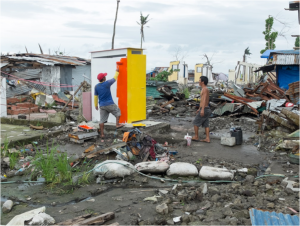 Besides the presentation of a variety of technology developments for emergency settings there was a constructive discussion between relief equipment suppliers and WASH relief organisations. Thanks to all participants! The Johanniter-Unfall-Hilfe e.V. together with the German WASH Network held a session to review the first draft of the WASH chapter of the revised Sphere handbook, version 2017. The main author of the WASH chapter Kit Dyer unfortunately couldn’t attend but contributed to the consultation via skype. The event was very productive as 15 participants made constructive inputs and suggestions to the improvement of practical and theoretical adaptability to the second draft version. More information to be found on the revision process of the SPHERE handbook can be found here. The German WASH Network and the German Network against Neglected Tropical Diseases (DNTDs) met on May 31 2017 to discuss cooperation between them. WASH has a key impact on diseases like Schistosomiasis or Trachoma. The participants discussed the WASH-NTD Strategy of the WHO and listened to project examples from Tanzania, Ethiopia and DRC. We are happy that Dr. Georg Kippels, member of the German parliament, joined part of the discussion. We look forward to further cooperation. The German WASH Network successfully conducted it’s first Regional WASH Workshop in Beirut, Lebanon, as part of the three target regions Middle East, Asia and Western Africa. Experts from locally active German WASH Network member organisation and its local implementing partners such as Syria, Lebanon, Iraq, Jordan and Turkey enriched the exchange of knowledge. The facilitators from the German Toilet Organzation and The Johanniter as well as many other resource persons from UNICEF, UNHCR, GIZ, Oxfam shared their expertise particularly to strengthening actors in the fields of emergency preparedness and response. A field trip to Beka’a Valley perfectly complemented the exchange platform, in which World Vision Lebanon and MEDAIR provided informative insights into their WASH projects in Informal Tented Settlements of Syrian refugees. Thank you all for your active participation and making this event a great success! We are looking forward to the upcoming Workshop in Tacloban, Philippines (July 2017). The Regional Workshops are part of a strategic portfolio developed in close cooperation with Auswärtiges Amt and which are carried out by a consortium consisting of arche noVa e.V., Malteser International, Johanniter-Unfall-Hilfe e.V. and German Toilet Organization. The “WASH in Emergencies” course was successfully conducted in Berlin. We thank all speakers and participants for their contributions and to making this event exciting and constructive. The Course is an initiative of the German WASH Network in cooperation with the Federal Foreign Office and is developed and conducted by the German Toilet Organization, arche noVa e.V., Bremen Overseas Research and Development Association as well as further networking partners. The WASH Network and its members organized events on the occasion of the World Water Day on 22 March. The attention of the press, the general public and politics into the international water and sanitation crisis was drawn through a wide range of activities. Best of all: participants could participate actively. We thank everyone for their support in Berlin, Munich, Kiel and Bremen. Further information on the actions of BORDA, Viva con Agua and the German Toilet Organization. The German WASH Network is again conducting a regional WASH workshop series in 2017 aiming at strengthening local WASH disaster preparedness and response capacities in the three target regions Middle East, Asia and Western Africa. The workshops are mainly targeting staff and experts from German WASH Network member organisation and its local implementing partners working in the respective regions. Please feel free to forward this invitation to interested colleagues, your regional/local implementing structures and/or relevant local partner organisations. 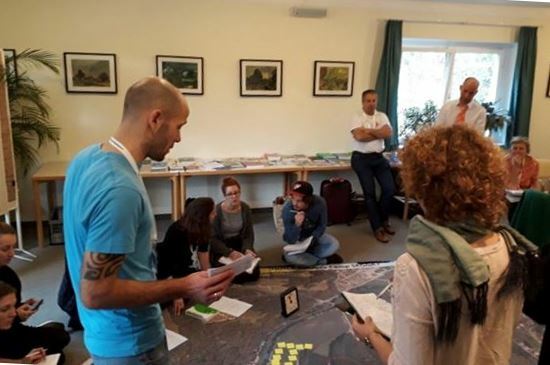 The workshops are part of a strategic portfolio of activities developed in close cooperation with the Auswärtiges Amt and are organised and carried out by a consortium consisting of arche noVa e.V., Malteser International, Johanniter-Unfall-Hilfe e.V. and German Toilet Organization. For those interested you will find further information and the application forms here. From October 31st to November 4th, this year’s “WASH in Emergencies” course was beeing completed. The third module was marked by sanitation and hygiene promotion in humanitarian aid. 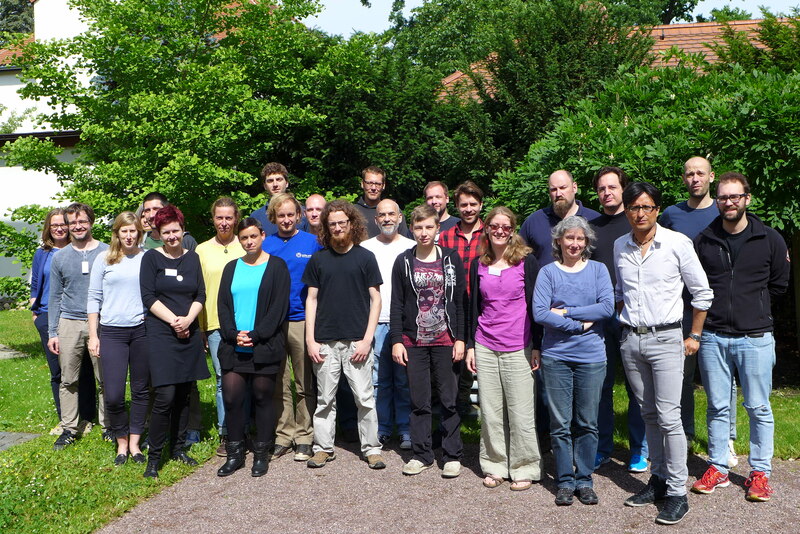 Thanks to all speakers and participants for an exciting and instructive week. The “WASH in Emergencies” intensive course will take place again next year and corresponding dates will soon be announced. The Course is an initiative of the German WASH Network in cooperation with the Federal Foreign Office and is developed and conducted by the German Toilet Organization, arche noVa e.V., Johanniter-Unfall-Hilfe e.V., Malteser International and BORDA. The theme of the first WASH-Tech Day on October 27 was the water supply in emergencies, focusing on “small systems” for the household and community level. In addition to the introduction of technological solutions and the exchange with suppliers, there was a capacity building block for water analysis. The aim of the day was to promote a constructive dialogue with the suppliers and to improve technological solutions. From 29th of August until the 2nd of September the WASH in Emergencies Course “Water supply in emergencies” took place in Dresden. In cooperation with arche nova e.V. and the German Toilet Organization e.V. topics of hydrogeology, water quality, well drilling and cross-cutting issues such as gender and inclusion in the water sector were covered. Participants were also able to apply their new-found knowledge in the field of water testing and material customer directly in practice. 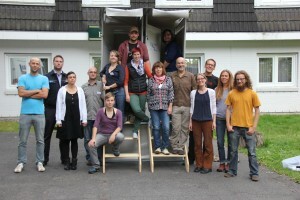 We thank all participants, the German Toilet Organization and arche nova e.V. for the exciting days. 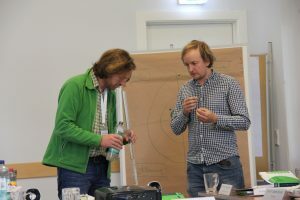 The Course is an initiative of the German WASH Network in cooperation with the Federal Foreign Office and is developed and conducted by the German Toilet Organization arche noVa e.V., and BORDA. The seminar “Upscaling the WASH Nutrition Nexus for Sustainable (Body) Growth” aimed in the context of Sustainable Development Goals (SDGs) to advance the thematic interface between WASH and Nutrition on an international level. Besides the presentation of new publications and tools, the global platforms Sanitation and Water for All (SWA) Partnership and Scaling Up Nutrition (SUN) Movement entered into a dialogue and will play a pioneering role in promoting the link between WASH and Nutrition. In the session “Opportunities of Marked-Based Programming to Address Humanitarian Needs WASH”, options were shown how local markets can contribute to WASH needs in humanitarian aid. The session included the report of many experiences and discussed the prevailing challenges and difficulties of donor, cluster and development perspective. Picking up on the themes of the seminars, the topics have been addressed in the SuSanA Working Group meetings more deeply. The Sanitation and Water for All (SWA) Partnership conducted a multi-stakeholder dialogue at Stockholm World Water Week 2016. Topic of discussion was the follow-up for the sanitation, water and hygiene-related targets of the Sustainable Development Goal 6. Beside ministers from Ethiopia and Tanzania (also Chair of AMCOW) the panel consisted of representatives from the private sector, civil society and the World Bank. 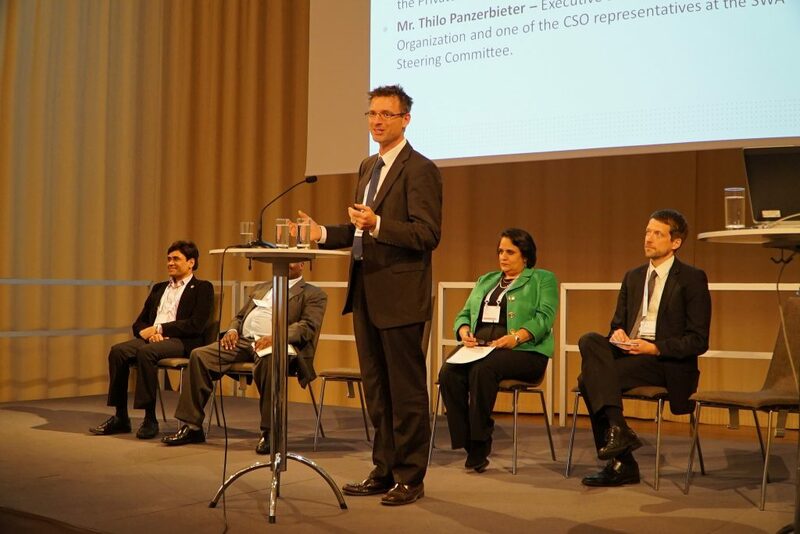 Thilo Panzerbieter (Chair of the German WASH Network), as a civil society SWA Steering Committee Member, stressed the importance of linking water and sanitation with other SDGs. He spoke in detail about the opportunities for global platforms to provide guidance to countries at this critical time – with the recent introduction of the new global agenda 2030. As an example he highlighted the progressing collaboration between SWA and the Scaling Up Nutrition (SUN) Movement. 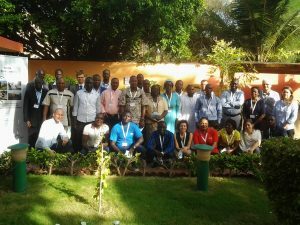 From the 3rd July until the 8th July 2016, the Regional WASH Workshop Africa took place in Arua, Uganda. The workshop was developed and conducted in close cooperation with Malteser International and the German Toilet Organization. It aimed at strengthening local WASH disaster preparedness and response capacities of German WASH Network member organisations and its local partners in crisis prone regions in Africa. With participants from over 12 different African countries and more than 10 different organisations it was a perfect networking and knowledge exchange opportunity for all involved actors. We would like to thank all participants for this intense and exciting week. The Regional WASH workshop series is part of a strategic portfolio of activities developed in close cooperation between the German WASH Network and the German Federal Foreign Office and is organised and conducted by Malteser International, Johanniter Auslandshilfe, arche noVa and German Toilet Organization. For more information and to apply for future workshops see here: hier. The German WASH Network will take part at the fair from May 30 until June 3 in Munich. On board at the joint stand are Arche NOVA, BORDA and the German Toilet Organization. Furthermore, Ingenieure ohne Grenzen will be there as well. Visit us in Hall B0 at the stands 104 and 108. On World Water Day 2016 the Water Integrity Network (WIN) will release in Berlin its newest report revealing corruption’s costly impact on the world’s water resources. 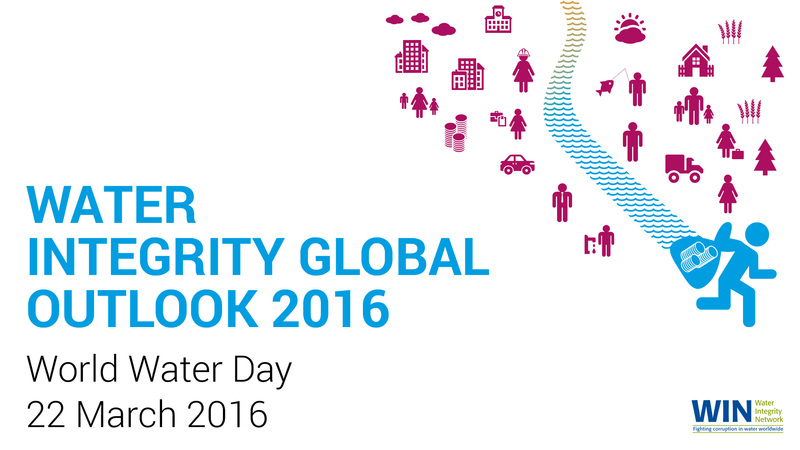 The Water Integrity Global Outlook 2016 will share examples of both corruption and good practices from communities, private sector, civil society and governments. The report and the examples will show how corruption or the lack of transparency are enormous obstacles in achieving the new sustainable development goals. With Dr. Tania Rödiger-Vorwerk, Deputy Director-General at BMZ and Peter Glas, Chair of the OECD Water Governance Initiative two high profile guests will set the scene for discussion. The German WASH Network will contribute with remarks given by Thilo Panzerbieter, Chair of the German WASH Network. 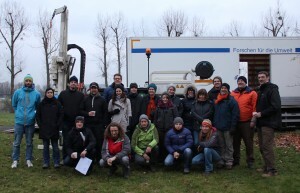 From 23rd -27th of November the third module of the intensive course “WASH in Emergencies” took place in Dresden. This time with a special focus on water supply in humanitarian aid. In five exciting days the participants were able to broaden their knowledge in the field of water production, treatment and distribution of emergency relief. The topics included “soft skills” such as hygiene promotion and additionally the inclusion of “hardware” such as water analysis and laboratory technology, or the nature of soils and water pipes. Overall a good mix of knowledge acquisition and practical examples along with stimulating discussions of the participants from the field took place. The “WASH in Emergencies” intensive course is an initiative of the WASH-Network in close cooperation with the German Federal Foreign Office and has been developed and implemented by the German Toilet Organisation, Arche noVa and BORDA. The third module was the successful conclusion of the first “WASH in Emergencies” course and we are looking forward to a new round of “WIE” courses in the coming year! Click here for further information about the course! From November 11th – 12th the WASH Network invited to the International Policy Dialogue Forum on WASH and Food Security in Bonn. A major challenge is to overcome malnutrition this requires a closer cooperation between the two sectors WASH and food security. Strategies and interventions of the two sectors have to be interwoven. In the context of so-called Mirror Sessions experts and decision makers, performing similar functions for their sectors, of both sectors discussed potential prospects and strategies. 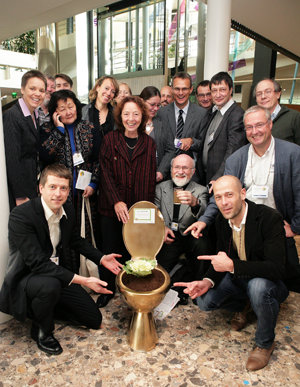 With the support of the Advisory Board of the UN General Secretariat for Water and Sanitation (UNSGAB) and its Chairman Dr. Uschi Eid, the conference was a key contribution to the UN World Toilet Day 2015, which was this year entitled “Better toilets for better nutrition.” The group photo (see above) therefore stood under the banner of “Be a thinker” and was the contribution of the WASH Network to the global campaign of UN Water for theWorld Toilet Day. 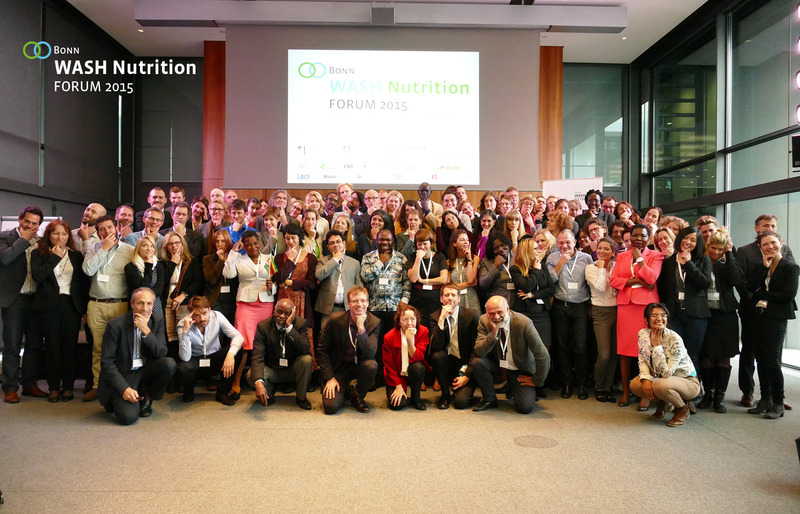 In future the results of the forum will continue to preoccupy the German WASH Network because we want to work extensively on the topic WASH Nutrition together with the BMZ special unit “A world without hunger”. Further information and videos can be found here! 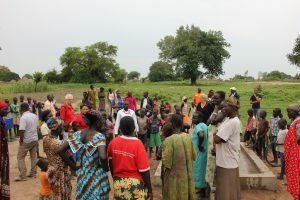 The first two ‘Regional WASH Workshops to Strengthen Humanitarian Preparedness and Response Capacity’ took place in Bangkok, Thailand from September 07 – 11 and in Kampala, Uganda from October 05-10. The workshops facilitated a vital knowledge exchange between the participants and with key actors of the humanitarian WASH system like UNHCR and UNICEF. Thanks to the German Toilet Organization for moderating and facilitating and to Malteser International and Arche Nova for the organisation and logistical responsibility of the workshop. The workshop is part of the strategic portfolio of activities developed and carried out in close cooperation with the German Federal Foreign Office to respond to the growing demand for qualified humanitarian WASH capacities. Click here for further information on the workshops! 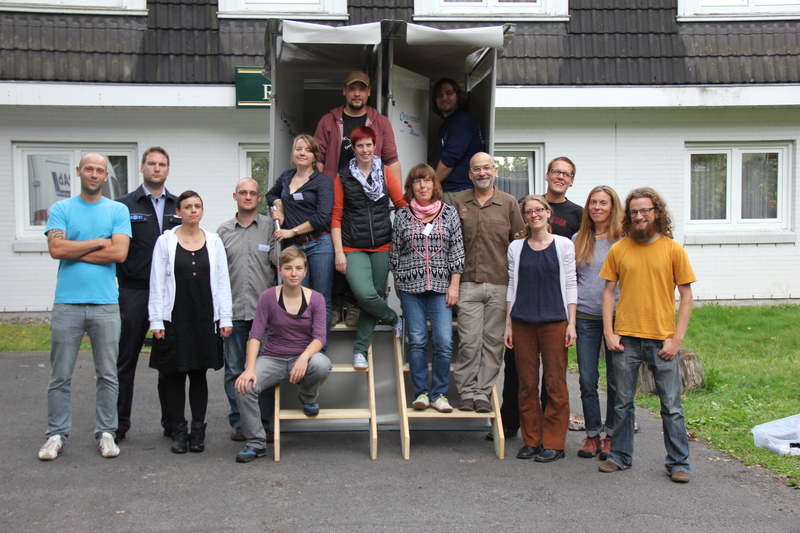 The second Module of the “WASH in Emergencies” workshop in Berlin finished successfully. This time with a special focus on sanitation and faecal sludge management in humanitarian aid. 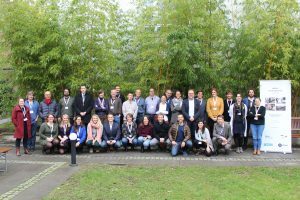 We`d like to thank all invited speakers and participants for 5 highly interesting days and are looking forward to the third module in November in Dresden with the focus on water supply in emergency aid. The “WASH in Emergencies” workshop is an initiative of the German WASH-Network in close cooperation with the German Federal Foreign Office and was conducted and developed by German Toilet Organization, arche noVa e.V.and BORDA. In the course of the World Water Week we also want to annouce our seminar „Humanitarian and Development WASH-approaches“ in cooperation with the Federal Foreign Office, Germany. The event is opened the Jordanian Minister for water. We are looking forward to an interesting event and active attendance. Get more information on the official World Water Week programme or on our event´s website. Please come and catch with the Network at the World Water Week in Stockholm. Several member organisations of the Network will be represented and as main convener of two events it is easy to find us. First of all we would like to promote our session on WASH in Nutrition with Action contre la Faim (France), Bundesministerium für wirtschaftliche Zusammenarbeit und Entwicklung (BMZ), Sustainable Sanitation Alliance (SuSanA), London School of Hygiene & Tropical Medicineand others. 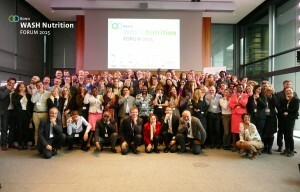 The event is part of a greater initiative by the WASH-Netzwerk on the nexus, which will lead to the Bonn WASH-Nutrition Forum 2015 in November. For more information click on the flyer or visit our event´s website. After 5 exciting and inspiring days, the first part of the workshop series “WASH in Emergencies” was completed successfully. Next to interesting presentations by experienced international WASH-Experts about hygiene promotion as essential WASH component, practice-oriented case studies and exercises were used as participative methods to find solution approaches for WASH in the humanitarian aid. After the successful start of the seminar series, we are looking forward to the 2nd module which will take place in September in Berlin. The focus of the 2nd module are the topics sanitation and wastewater management in the humanitarian aid. Some slots for the 2nd module are still available! The practice-oriented workshop gives a comprehensive overview of the technical and non-technical intervention possibilities, features and challenges of WASH in humanitarian aid. 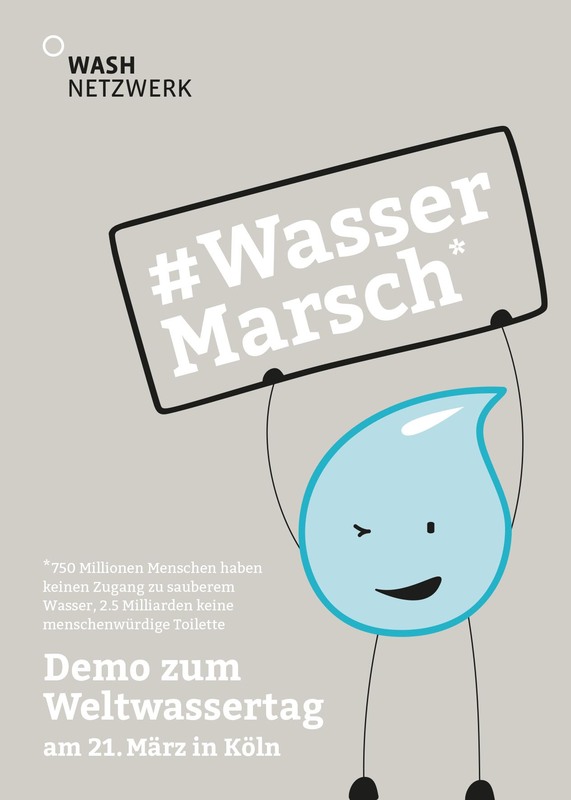 Under the slogan #WasserMarsch we will walk 4 km through Cologne starting at the Aachener Weiher and ending with a final announcement at the Bahnhofsvorplatz. Together we will fetch water at the Aachener Weiher with buckets and jerrycans (please bring something!) which are used in many countries to collect water. With a 4 km march through Cologne`s inner city we want to solidarise with the 780 million people worldwide who still do not have access to clean drinking water and have to walk this distance every day to get water. Water and sanitation are human rights and should be available for everybody – here in Europe and in the so-called developing countries as well as in crises, wars and catastrophes. 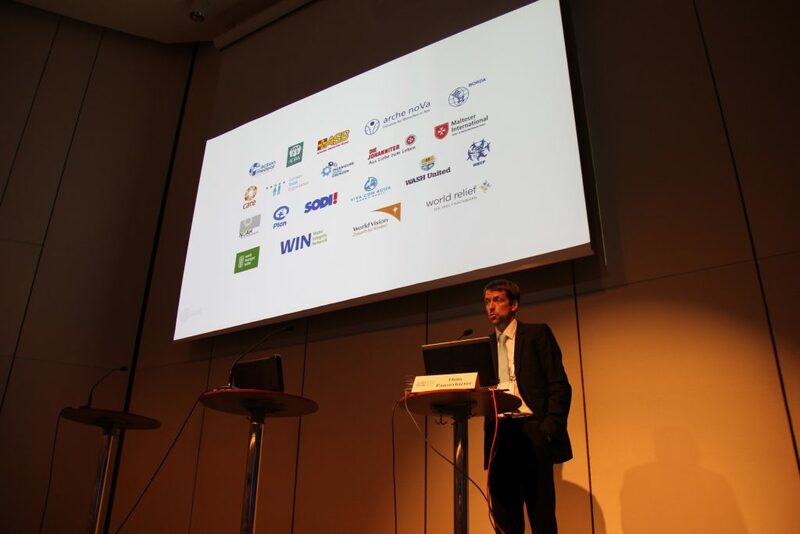 Togehter with the German Federal Foreign Office the German WASH Network convened a seminar with the title: “Streamlining Strategies for Humanitarian Aid in the WASH Sector” at this year Stockholm World Water Week on Wednesday 3th September 2014. Together with the seminar participants we dicussed the strengths and weaknesses of existing humanitarian aid strategies in order to come up with specific recommendations in support of on-going national strategy development processes (e.g. Germany). With the initiative we aim to reinforce the dialogue between governments and non-state-actors in order to specifically increase the coordination of policy-making and the collaboration. We are delighted to announce the launch of the new German WASH Network publication on “Linking Relief and Development in the WASH Sector”. The publication serves as a current snapshot of the sector at the interface between humanitarian assistance and development cooperation. It intends to foster the mutual understanding of each other’s field of work and provides impulses for fuelling the on-going international debate on how to better link relief, rehabilitation and development. A wide range of sector professionals have been asked to provide feedback reflecting either their individual and/or organisational views and experiences regarding current challenges, opportunities as well as recommendations for the way forward. 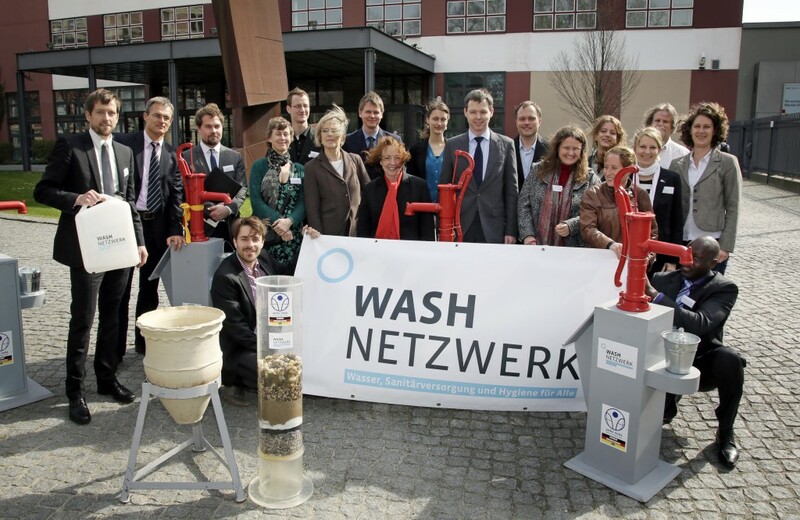 German Wash Network celebrated World Water Day 2014 with a variety of actions. We started with a conference speaking about the future of WASH projects with Thomas Silberhorn, new Parliamentary State Secretary of the Federal Ministy for Economic Cooperation and Development (BMZ). With the slogan “Water is life – Water is a human right” Viva con Agua organized the 3rd #lassLaufen Demonstration in Berlin. Another spectacular activity took place in Leipzig. Members of the Dresden based Organisation arche noVa drank 78 litres of water from a local lake together with brave pedestrians. See how this worked? The World Water Week in Stockholm is the annual focal point for practitioners and experts to discuss the globe’s water and sanitation issues. Each year the World Water Week addresses a particular theme to enable a deeper examination of a specific water-related topic. The thematic scope of this year is “Water Cooperation – building partnerships”. The German WASH Network together with the Sanitation and Water for All Partnership (SWA), the Federal Foreign Office, the Federal Ministry for Economic Cooperation and Development and UNSGAB are jointly convening a seminar titled “Aid Effectiveness in WASH Relief to Development Transition” on September 5 (from 09:00-12:30). 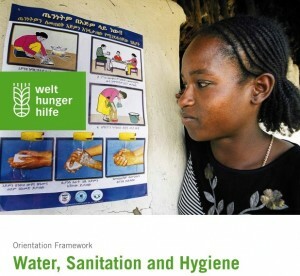 Welthungerhilfe, member of the German WASH-Network, completed the development of its Orientation Framework Water, Sanitation and Hygiene (WASH). 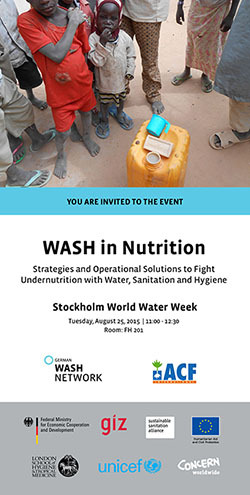 Together with the World Bank’s Water & Sanitation Program, the WASH-Network organised a seminar at this year’s World Water Week in Stockholm. OUT NOW: Water, Sanitary Supplies and Hygiene for Everyone! 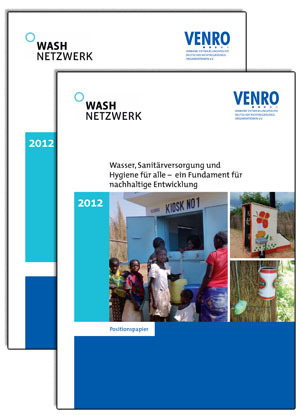 Finally: the WASH network is publishing a position paper together with VENRO on the topic WASH.
900 million people world wide live without access to clean water and 2,6 billion without basic sanitation. This paper is a message to politics and civil society that we all should understand the topic WASH as what it is: an essential foundation for any kind of sustainable development. On just seven pages we go to show why access to water, sanitation and hygiene is a human right and why it is so important for education, health, social and economic development and food and nutrition security. We have also investigated how we and politicians can contribute to supplying everyone with water and sanitary facilities and to help internalise and implement principles of hygiene. You can read our demands directed at the national government on p. 9! Have fun reading and distributing it! On occasion of the World Water Day 2012, the German WASH network organised a symbolic walk for drinking water. The slogan was “Lass-laufen…” – a word play on the verb “laufen” which translates as “walking” but can also be used with reference to water as “running”: The slogan thus translates as “Let’s walk” or “Let it run…”. About 100 activists took up the invitation and marched through Berlin with canisters and other containers, bowls and flasks. The march was organised by Viva con Agua Berlin and many others joined them: Arche Nova, the German Toilet Organization, Ingeneers without borders as well as WASH-United. 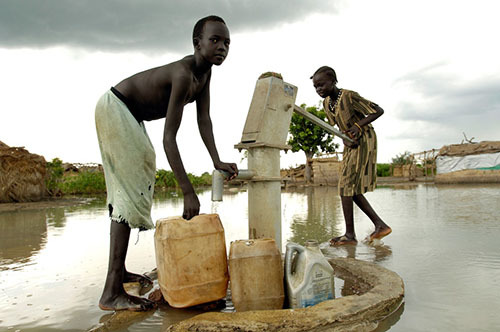 World wide, 800 million people still lack access to clean drinking water. About three times as many people live without basic sanitary supplies! Many have to travel 5km or more to reach something that is self-evident to us: clean water! 5 km – This is the distance we walked together, in solidarity with these people and demonstrating that this situation is unacceptable! We started the walk with a WASH network photo session qt 11.30 infront of the Bundetag in Berlin. Together with member of the Bundestag Gudrun Kopp we filled the first jars and canisters with water from the Spree. And watch the video how people all over the world walked for water and sanitation ! 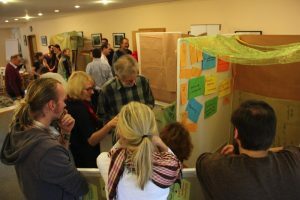 The German network has agitated for the interrelated topics of water, sanitation and hygiene to be firmly ingrained in the agenda of RIO+20. The German Government intends the conference’s results to be a contribution to the Rio+20 process, the next big global summit on environment- and development issues, which will be held in Rio next year. A wide range of stakeholders from government, business and civil society sought to find new approaches and get initiatives into motion in order to create safe access to water, energy and food for everyone. The WASH Network used the opportunity offered by the conference to introduce themselves to international expert circles and to anchor the topics water, sanitation and hygiene firmly on the agenda of Rio+20. As an organiser of a hot topic session, the WASH network highlighted the importance of WASH to providing people with sufficient food, sustainable energy and clean water.